Villa Park - Fresh Exterior Paint!Open & Bright, Contemporary Finishes,Formal Dining w/butlers pantry, Fantastic Kitchen/Family Room,Amazing counter space, tons of cabinets,large island,farm sink, quartz, Stainless Steel appliances, pantry, 5 Bedroom,4.5bth, Site finished hardwoods, Gas log fireplace & built-ins in Family Room,Master suite down,amazing spa-like bath,separate deep tub + giant tiled shower, Walk in Closet,4 large Bedroom + bonus finish out 2nd floor,screened porch, 2 car garage, & dropzone/mudrm. MLS#2155343. 3294. The Overlook - Master Suite w/Hwd Flooring, & MstrBath w/Tile Floor, seperate Vanities w/Granite Counter Tops, Custom cabinets, Freestanding Tub, seperate Tile Srrnd Shower, & Huge Walk in Closet w/Cstm Shelving! MLS#2156759. 1128. 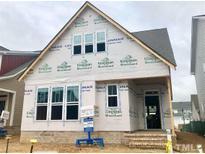 The Overlook - Master Suite w/HWD Flooring, crown, & MstrBath w/Tile Floor, SepVanities w/Granite Ctop, Custom cabinets, Freestanding Tub, seperate Tile Srrnd Shower w/Corner Seat, Huge Walk in Closet w/Cstm Shelving! 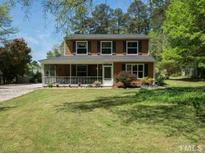 MLS#2156775. 1128. The Overlook - Master Suite w/HWD Flooring, crown Molding, & MstrBath w/Tile Floor, Dual Vanity w/Granite Ctop, Custom cabinets, Tile Surround Tub, seperate Tile Srrnd Shower w/Bench Seat, Huge Walk in Closet! Study! MLS#2156749. 1128. The Overlook - MstrBath: w/Tile Floor, seperate Vanities w/Granite Ctop, Custom cabinets, Freestanding Tub, seperate Tile Srrnd Shower w/Corner Seat, Huge Walk in Closet w/Cstm Shlvng! MLS#2156527. 1128. Whitecroft Manor - Only 15 minutes from downtown Raleigh! No city taxes. MLS#2155672. 1710. Caraleigh Mills - Please see our website for further options. MLS#2154093. 2340. Woodrow Park - Private .81-acre lot. Nothing like it. MLS#2154011. 511. Lakestone - 3 fireplaces (Family Room., Office, & Basement) MLS#2153119. 2017. MstrBath: Tile Floor, Dual Vanity, Cstm cabinets, Freestanding Soaking Tub, HUGE Marble Srrnd Shower, Walk in Closet w/Cstm Wood Shelving! MLS#2152056. 1128. Mactavish - Site-finished hardwoods, 3 car garage, 10ft ceilings, tankless hot water, custom built-ins & quality features throughout. 56 HERS! MLS#2148617. 2817. Low maintenance landscaping. Must see to appreciate. MLS#2143397. 511. Custom Designed Two Story Craftsman Style House to be finished February 2019. MLS#2135447. 3293. Short drive to Crabtree Valley Mall or RDU. MLS#2135335. 3293. Your .992 acre lot is surrounded by an additional 8.2 acres of green space! MLS#2132800. 4303. Or make reservations at your favorite restaurant in Chapel Hill, Durham, Raleigh, all within 15 minutes of your new home. MLS#2127131. 4303. Stanley Martin's Colton II plan, 10ft ceilings first floor/ 8ft doors (9ft ceilings on the second floor) 2 car side load garage included,Morning Room/Sunroom included Hardwood flooring throughout the first floor (not included in wet areas and bedrooms) Hardwoods included on the second floor up-hall. (not included in bedrooms) MLS#2124445. 4303. Crestwood - Lot Only Available For Sale As A Presale Custom Home Build With 5 Star Design Build. New Construction Loan Needed. MLS#2109733. 983. The property is Sold As Is, great location next to a Shopping Center, the property is being market as residential, but it can possibly be zoned commercial if you request the zoning to be changed. MLS#2108227. 1238. Sheffield Manor - Prime location in the middle of everything. MLS#2090330. 3000. Pin numbers of the properties included in this sale are as follows: -0772968540 -0772967543 -0772966541 -0772965449 -0772963486 -0772965034 -0772956565 MLS#2079265. 983. 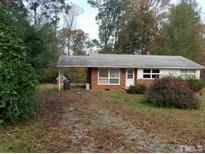 Prime Location Mins to Downtown US1/64 & 40. Whole House Generator Incl. MLS#2037358. 1320. Bay Leaf Farm - Amazing pool and Jacuzzi spa surrounded by expansive terrace with detailed landscaping, his & hers bath houses, and full outdoor kitchen. MLS#1957549. 1071.